What is the meaning of Valentines Day to you? To me, being a hopeless romantic, it is how to say I love you in as many ways as I can possibly think of. It’s a very special holiday, and whoever picked the specific day of February 14th was brilliant in my opinion. After all, we made our New Year’s Resolutions and starved ourselves the entire month of January for a measly 5 pound loss! We’re still feeling pudgy, porkish, vulnerable and unloved after all the January sacrifices (both with foods we love AND our pocket books which are still slim after the Christmas splurge). Timing is everything, and February 14th is the break we want, need, and desire. We are fully aware of the meaning of valentines day. Who Says No To Valentine's Day? Only a few say no to Valentine’s Day. What we really need is a heap of lovin’ in all ways and always, champagne, strawberries, long stemmed red Valentine day roses, heart tattoo designs, valentine poetry and CHOCOLATE! Lots of chocolate! And if you have the means to throw in a few “girls best friend” diamonds, well, that’s okay, too! (For me you can skip them and give me amethysts and pearls that go much nicer with my nature). What is the meaning of Valentines Day to you? What do you think of? Heart shaped wedding cake, valentines day decorations, Cupid, hearts, heart shaped candy, red roses, perfume, special cupcakes, pink elephants, lovers dancing, love poems, holding hands, a walk in the moonlight? Perhaps its love poems for Valentine’s Day, or homemade Valentine gifts that make you happy, or just a simple Valentine recipe prepared by someone you love. 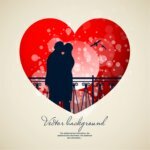 There are tons of Valentine day ideas to express the meaning of Valentines day. Maybe you like heart shaped engagement rings, Valentine’s Day songs, a red velvet cupcake, or just a Valentine’s day flower delivery? Maybe it’s just the feel of a warm heart-felt hug from a loved one or a special friend. Is there anything better than a hug when you need one? No, I don’t think so either. It's all a big part of the meaning of Valentines day. Whatever marks the” special” in this special holiday; it’s a great time for a party. Everyone has a White Party, why not make this a Valentine Red Party? Open your heart, so to speak, and break out the Valentine’s Day recipes with heart healthy foods; then spruce up the surroundings into a festive and inviting Valentine’s Day decorations theme, and let the good times roll. Come on, Seniors, live it up! Isn't this the meaning of Valentines day? Break out the Valentine love poems, find some good gifts for Valentines, and right here on this page, you can find some special Valentine games for your party to break the ice and get things rolling along. What is the meaning of Valentines Day to you? What kind of party would you like to have? What are your ideas of a good Valentine's Day party? Bust out the my funny valentine lyrics and others and get a crowd to share them with. Gather some valentines day gifts for men and women, recite some valentine love poems or discuss your favorite valentines day ideas. Then set the plans into motion. It's party time! You'll find plenty of help and ideas with friends that need a break from the lull of January with their noses to the grindstone. Break them out of their misery. It's time to live it up, seniors! Set up a Tattoo Booth with someone doing faux heart tattoo designs, copy some vintage valentine clipart, bleeding heart or a sacred heart tattoo pattern. Have some fun with it and pick some naughty as well as nice; something for love and something for laughs. 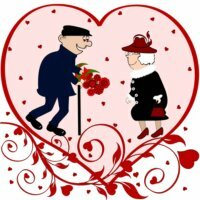 Be spontaneous and feel free with your Valentine’s pictures and characters. Some of your special guests will be happy to share the meaning of Valentines day. Set up a photo booth to simulate the old fashioned curtain booth for two and let the flash bulbs fly and the memories stack up. Valentine’s pictures make great Valentine bulletin board ideas for everyone to see and enjoy. Perhaps take a request list of duplicates for each to enjoy later in memory of your great party. Set up a special table for those interested in close to my heart scrapbooking pages to assemble. This could cause a ritual every year and then no one can forget the meaning of Valentines day. Do You Have The Heart To Play? Is there a song in your heart? Do you have the “heart” to play a game? Every song has the word heart in it. Who says it? Who made the song famous? Give prizes for the guest who can name the most; with a special prize for the one who sings the song. Or turn it into a karaoke party with your guests being your very own unique entertainment. Click on the picture to get the game. This will refresh in the minds of all the true meaning of Valentines day. Are you and your friends savvy with movie love quotes? Where did the love quote come from? Famous quotes like “love means never having to say you’re sorry”. Match love stories with famous quotes. Throw some old and new into the mix to keep everyone interested and on their toes. Prizes to the winners, or loser must act out a skit or take the lead in charades. Who can tell the best love stories? I'll bet there is a few that will hit the meaning of Valentines day right on the head. Click on the picture to get the game. Do you have a passion for Heart to Heart Idioms like “heart of gold”, “take heart”, or “half-hearted”. Challenge your party guests to match the English language idiom to the definition for their favorite “heart” idiom. See how many you can come up with that is related to heart or the meaning of Valentines Day. Are some of your guests still wild at heart? Get the game here, just click on the picture. How many ways can your guests say “I love you”? Do you have any foreign language buffs? Challenge your world traveling friends to a contest of who can say I love you in the most ways. Some will be obvious, but dig deep and find some rare ones to throw into the mix. Get the game here. Click on the picture. How many famous love quotes can you remember? Famous Love Quotes will challenge your friends to fill in the blanks. What’s your opinion on love? How many famous love quotes can your party guests come up with? Click on the picture to get information. Do you have a savvy group in your party guests that are historical whizzes? Valentines Fun Candy Trivia include things like the first Valentine’s Day boxed candy was presented in 1868 by whom? What’s one of the best things about Valentine’s Day? How far back does your knowledge about the candy go back? Find your trivia game by clicking on the picture. Are you and your guests into pets? Loyalty and Love – Man’s Best Friend might be perfect for your party. Match the dog’s character names to the movies they played memorable roles in. Remember Wizard of Oz and Firehouse Dog? Remember Lassie and Beethoven? They are all here, click on the picture. Create your own activity for your Valentine’s Day party. There can be great fun in gift exchanges. For example, everyone can bring a small gift (or you provide them). Let them pick the gift they want at first, then exchange gifts with note of instructions displayed on the gift. For example, "exchange gifts with person with biggest smile", or "exchange gifts with person wearing the highest heels", etc. This is a good ice breaker game and each player takes away a gift. Whatever you do on Valentine's Day, do it with love and kindness. Making great memories brings a lifetime of smiles and happiness. Every day you are alive is a celebration, and seniors, you should be living it up!